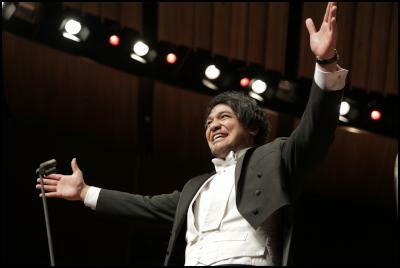 Tenor Amitai Pati performed Strauss’ Allerseelen, Verdi’s Lunge da lei and Gounod’s Ah! Lève toi, soleil! University of Auckland student Amitai Pati has joined the elite ranks of New Zealand opera singers after winning the 2012 Lexus Song Quest at the competition’s Grand Final Concert at the Michael Fowler Centre in Wellington. Amitai Pati who is from Mangere in Auckland and who studies at the University of Auckland impressed International Judge and acclaimed tenor Dennis O’Neill with his performances of Strauss’ Allerseelen accompanied by pianist Terence Dennis and an orchestral programme of Verdi’s Lunge da lei and Gounod’s Ah! Lève toi, soleil! conducted by renowned operatic conductor Oliver von Dohnányi. Amitai is a voice performance major at the University of Auckland. He has extensive experience in choral singing, having performed and toured with the New Zealand Youth Choir, the Graduate Choir and the Auckland University Choir. He has also performed as a backing vocalist on George Benson’s and Andrea Bocelli’s New Zealand tour. Most recently Amitai has performed in NBR New Zealand Opera’s Hohepa for the New Zealand International Arts Festival and Rigoletto. Later this year he will perform as the lead tenor in Auckland Youth Orchestra’s tour of Beethoven’s 9th Symphony before heading to the Wales International Academy of Voice to further his studies. “I firmly believe that Amitai has the potential to become a superstar. Time will tell.” he said. The Lexus Song Quest (formerly known as the Mobil Song Quest) was established in 1956 and is a premier biennial event in the arts calendar. New Zealand has become something of a breeding ground for exceptional singers. The prestigious Wales International Academy of Voice, which is directed by Judge Dennis O’Neill, is this year expecting over a quarter of its intake to come from New Zealand. The Lexus Song Quest plays an important role in this process and is credited for developing the talents of emerging artists and providing them with a platform from which to embark upon an international career. Lexus New Zealand has been supporting the competition since 2005. As winner, Amitai receives a cash prize of $10,000 and a Study Scholarship of $15,000 plus a return economy international airfare. Cash prizes ($8000 for second place and $5000 for third place) and scholarships were awarded to the runners-up and the other three finalists were each awarded $3,500. The second runner-up prize is funded by the Malvina Major Foundation. Second and third prize-winners were respectively, countertenor Stephen Diaz from Auckland and tenor Alexander Wilson from Auckland. The three runners-up were Grace Park, Kawiti Waetford and Bryony Williams. The three prizewinners perform a Winners’ Recital in Auckland with pianist Terence Dennis in Auckland on Saturday 1 September at the Holy Trinity Cathedral. Tickets are available from Ticketek for this concert. Audiences can see Judge Dennis O’Neill and a selection of the 2012 Lexus Song Quest applicants hone their technique at a series of nationwide masterclasses that are free to the public. They are held on Friday 31 August at 7.30pm in Sacred Heart Cathedral, Wellington; on Monday 3 September at 7.30pm in Holy Trinity Cathedral, Auckland; on Wednesday 5 September at 7.30pm in Middleton Grange Performing Arts Centre, Christchurch; and on Friday 7 September at 7.30pm, Marama Hall, Otago University, Dunedin. The masterclass series is funded by the Dame Kiri Te Kanawa Foundation.